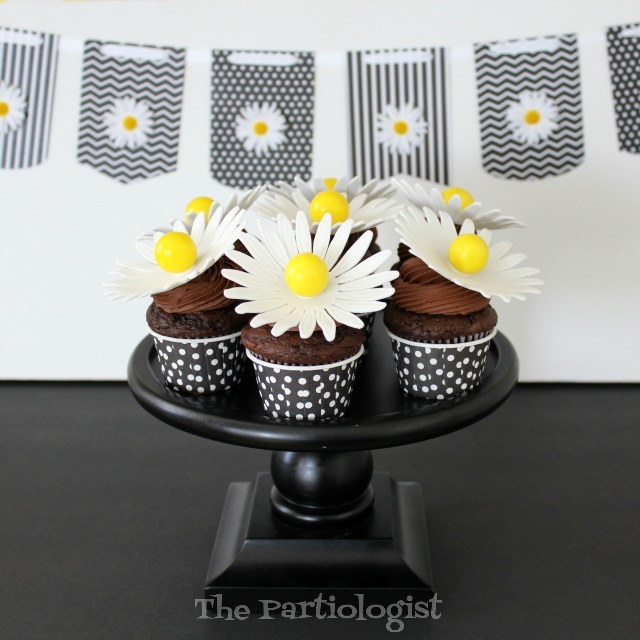 The Partiologist: Jumbo Daisy Cupcakes and Chocolate Marshmallow Daisies! 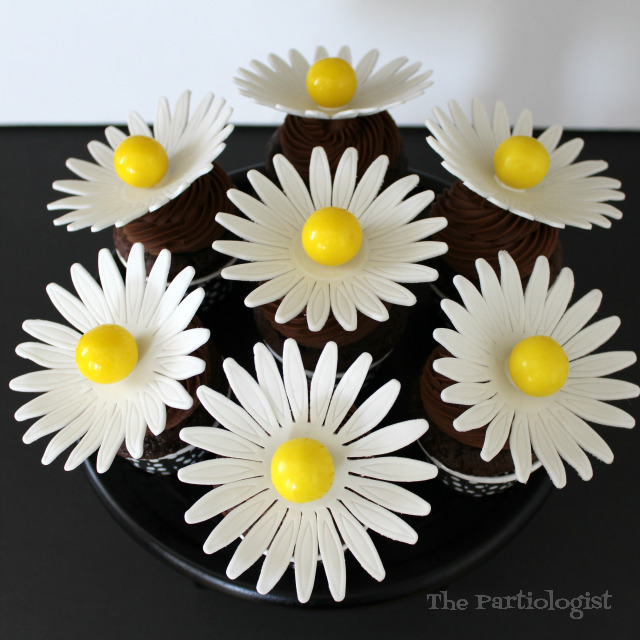 Jumbo Daisy Cupcakes and Chocolate Marshmallow Daisies! I realize I have a lot of daisy treats for the birthday party, just keep in mind daisies can be used for any occasion. So I'll keep picking more of my favorites from the party. Like the chocolate cupcakes topped with jumbo daisies and the chocolate covered marshmallow caramel daisies. Simple to make as long as you're careful and give them plenty of time to dry. They made quite a statement. In the center, a gumball! Using the fondant plunger cutter, the daisies were quite easy to make. Lay them in a flower former to dry. While on the flower former, add the yellow gumball with royal icing. Add to cupcake just before serving. 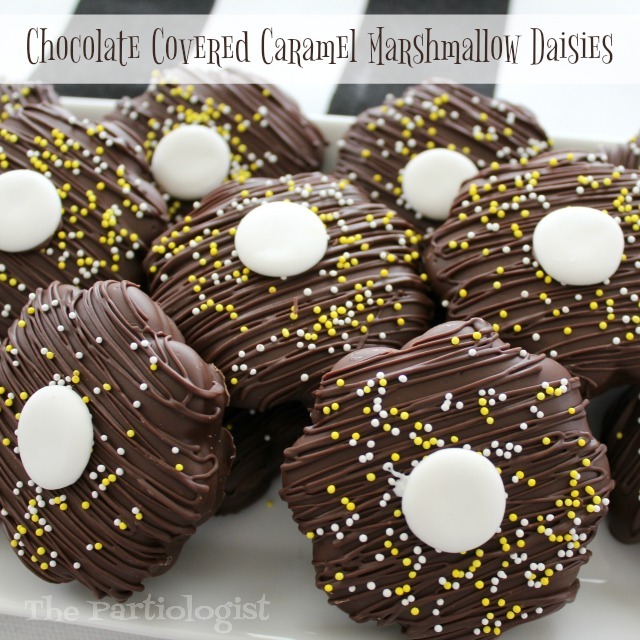 One of my favorites was the Chocolate Covered Marshmallow Caramel Daisy. 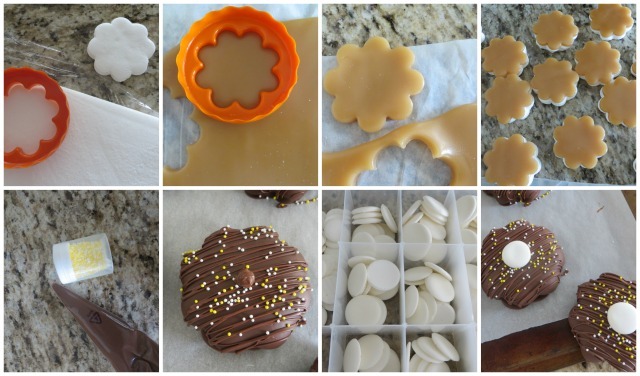 Using the sheet of premade marshmallows, I cut the flower shapes. Then I rolled and cut the same shape from caramel. Recipe HERE. Layered the two and dipped them in chocolate. 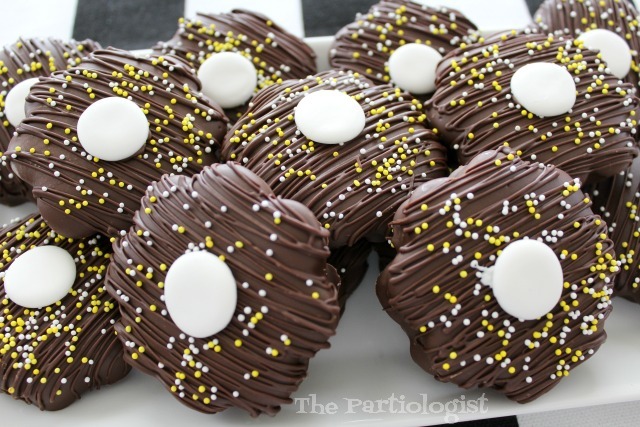 Melt chocolate in a candy melt bag, and drizzle over the flower, immediately add yellow and white sprinkles. Add a bit of chocolate to the center and add a royal icing circle. What flower would you pick? Either way you'll get chocolate...and a daisy!